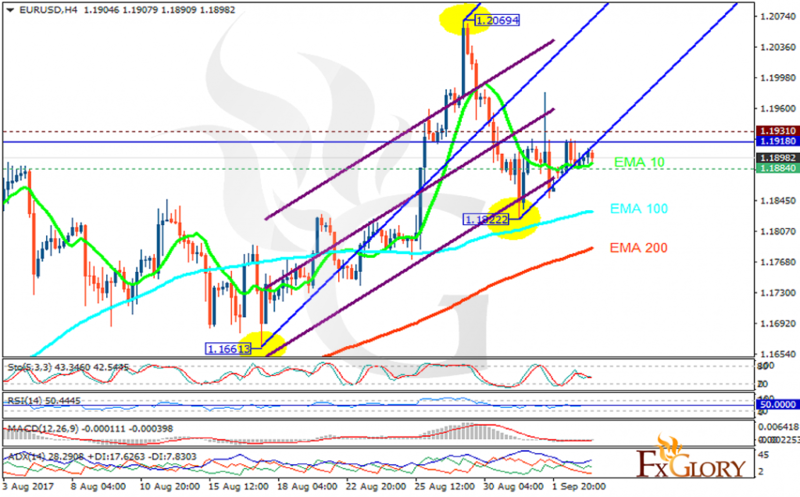 USD has been weakened due to weak NFP and the wages data. There are no major economic reports in Eurozone today. The support rests at 1.18840 with resistance at 1.19310 which the weekly pivot point at 1.19180 is located in between the lines. The EMA of 10 is moving horizontally in the ascendant channel and it is above the EMA of 100 and the EMA of 200. The RSI is moving on the 50 level, the Stochastic is moving in middle ranges and the MACD indicator is in neutral territory. The ADX is showing buy signals. Long positions are recommended towards 1.20.